Vacation rental house. Sleeps 12, 4 bedrooms, 5.5 bathrooms. No pets allowed. Comfort and serenity is alive and well at Sweet Shirl. 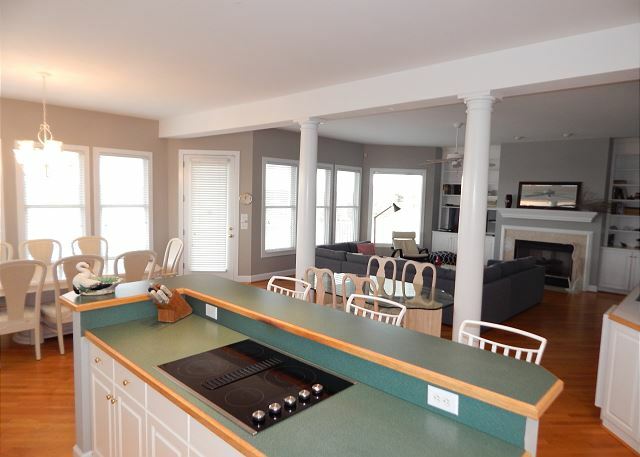 This spacious 4 bedroom 5 bath home is located on the sound front at the north end of Wrightsville Beach. Step inside and find a large open floor plan that offers plenty of space for the entire family. 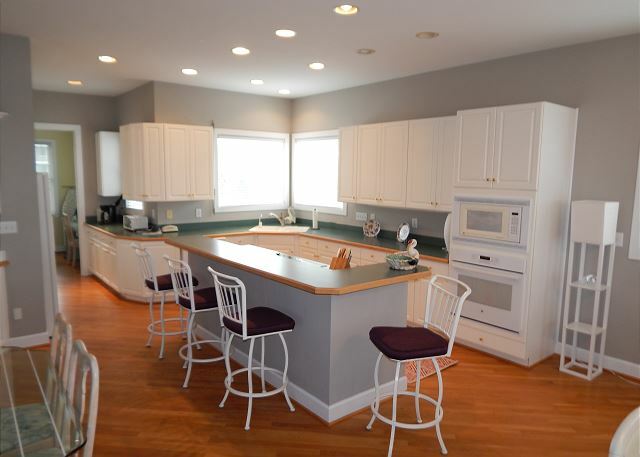 The kitchen, dining, and living areas all have views of the beautiful marsh and sound and provides a great space for the family entertainment. Step out the back door and on the spacious deck with plenty of sunshine, views, and a great place to watch amazing sunsets. 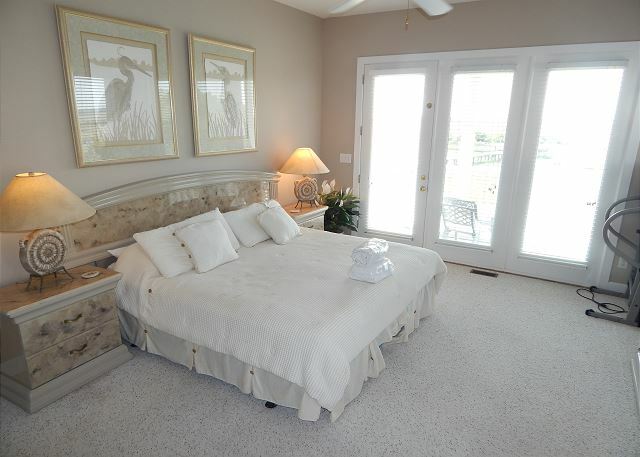 Also located on the first floor is a large master suite with a king bed and access to the sound front deck. Head up the stairs and find the grand master bedroom. 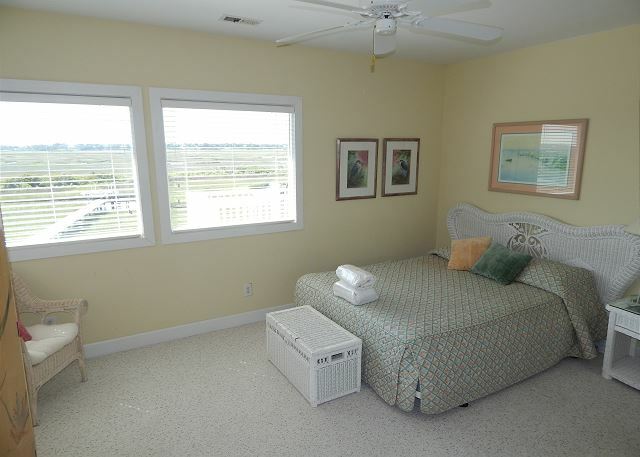 This bedroom offers a king size bed, large bathroom, and private access to a sound front deck. Bedrooms 3 and 4 are also master suites and offer a queen bed, 2 twin beds, and a crib. Also located on the 2nd floor is an additional sitting room with a TV, DVD player and a Play Station 2, 1 full Futon, and a full bath. Want to do a little crabbing, kayaking, or paddle boarding? Then step out on to the private landing and pier with access to a tidal creek on the sound. Beach access is also a breeze and is just 350 steps away. Call today and book your week at Sweet Shirl! We enjoyed a long weekend with family; the view of the marsh was lovely, the walk to the beach was brief. For people who like to have their own space this house was perfect--we had7 people though the home could easily fit several more with room to spare. Overall, a very good week at this vacation home. Only suggestion would be to replace the furniture on the back deck. Out of the 4 rocking chairs two were broken, one could not be used. Grill would not work and there were nothing to clean the grates with. Place was clean and management was very efficent. WE have stayed at Sweet Shirl the past 4 years and love the location and easy access to the beach. This year the cottage was recently painted, updating the inside. A couch upstairs was replaced by a futon, which is extremely hard and useless for sleeping or even sitting on for that matter. The oven smoked horribly when we tried to use it so I had to clean it before proceeding. Ditto the grill. The kitchen needs the plates and silverware replenished and some new pots and pans would be nice. We return to Sweet Shirl each year because it is lovely and wonderfully situated on the North End. The few minor inconveniences do not negate all the positive pluses of this rental. Sweet Shirl was very sweet!! We enjoyed the house so much. It was very spacious for our crew and we loved and enjoyed the wonderful views off the back deck. Wonderful porch to sit and rock. Thanks so much. Our trip was very nice. The house had two very large bedrooms and bathrooms. All other bedrooms and bathrooms were normal size. The downstairs interior had recently been painted grey instead of the green that shows in the pictures. Also, there were no sleeper sofas but we had 2 blow up mattresses. I felt the kitchen was adequately stocked, though we did no cooking. There is very large storage under the house along with the 3 car garage. View out the back is beautiful. House was great but disappointed in the fact that early check in was $50 per hour. We stayed in the middle of winter and no one was in the house prior but we waited till check in. Rental agency did call and say the house was ready early and I mentioned we did not want to pay the extra. We were still not offered the courtesy of checking in without charge. Wonderful large rooms with lots of light and open space, perfect for a large crowd. bedrooms were great with comfortable beds. But we were VERY disappointed with the kitchen. There were no basics - starter dish washing liquid, powder, coffee filters, absolutely nothing other than a roll of paper towels. Can opener hardly worked. Barely any cooking utensils that a cook would use. It is obvious that no cook owns or stays here. Everyone kept tripping on the cheap throw rugs. And the chairs to the second table were being recovered so half of our dinner guests had nowhere but the couch to sit! 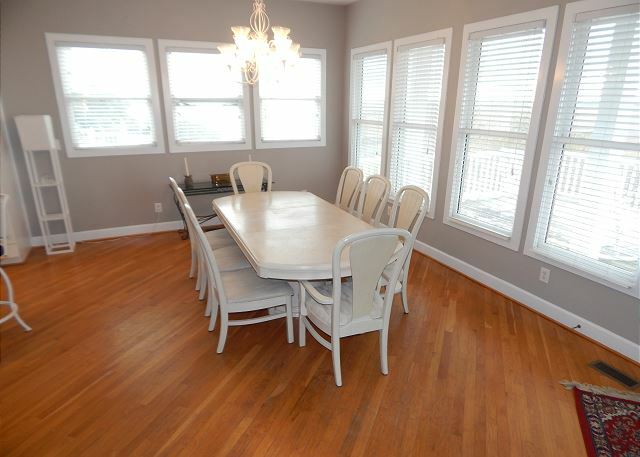 (The picture on line shows the chairs in use and was part of why we rented the place.) Back stairs had green mold all over them and the deck/walkway were in need of maintenance. The place needs updating so that it is the prime place that it's location and presence reflect that it can be. Very good, for the most part. The only disappointment was the fact that we could not get the gas grill to light. We had brought hamburgers and hot dogs to grill and had to cook them inside. We rented this home last summer. We loved the house and the views off the back deck and especially the dock were amazing. The kitchen is well stocked as we love to cook! We rented kayaks for several days and launched from our dock. We will return to rent this home again. My family and I had a great week at the beach! Sweet Shirl is a beautiful home in a great location! There was easy access to the beach. So glad to hear that your family had a great time at Sweet Shirl. Come back and see us! a guest from Chapel hill, NC does not recommend this vacation rental. Great location, great house but beds are not comfortable. A great place. Nice folks. Very homey. Noise inside the house was bit noticeable so if you have small folks it might be a bit noisy. WE had a a very comfortable and enjoyable time staying in this lovely well situated home. It is fully furnished making life there delightful. Our second stay at Sweet Shirl was wonderful. 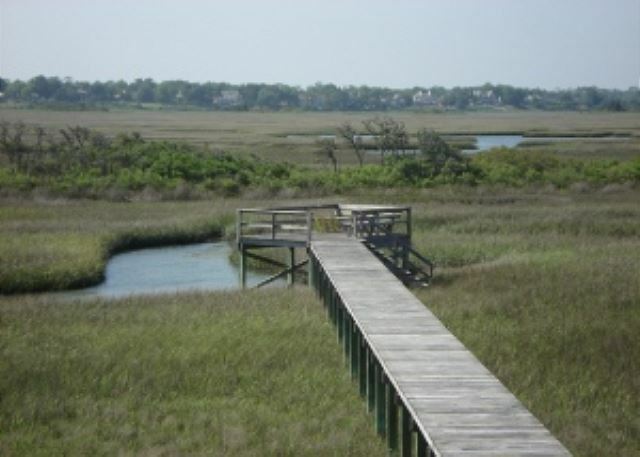 We love the marsh view and dock access for easy kayaking and crabbing. Beach access is just a short walk from the cottage. The north end of Wrightsville is quiet and lovely. Shell Island is just a couple blocks away. The setting is perfect and the house roomy and comfortable. This is our go to house for family vacations. So happy to hear that you enjoyed your stay. Come back to see us next year! My family had a really good time and the house was wonderful. The location and the view was great. We would say this house is a "keeper" on our list of places to stay. So happy to hear you and your family had a great time at Sweet Shirl. Be sure to come back and see us! We had a great time at Sweet Shirl. The house was perfect for our needs staying with our children and grandchildren. We especially enjoyed having the wagon to take them to the beach. We were very busy with a wedding, so weren't able to take advantage of everything, but we did enjoy the beach a little (in between bouts of rain) and the deck and dock. I would highly recommend this property if you don't mind a bit of a walk to get to the beach. Happy to hear that you and your family enjoyed your visit. Please keep us in mind for your next trip to WB! 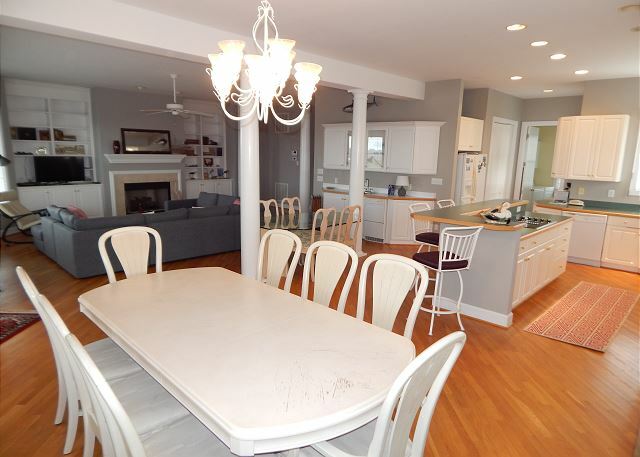 Beautiful and roomy home near the beach! Absolutely beautiful home near the beach. Back porch perfect for large family gatherings!!! 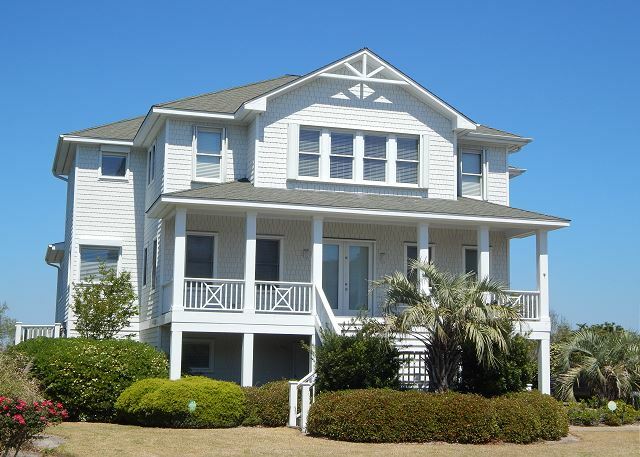 Sweet Shirl is a wonderful vacation home located on the North end of Wrightsville Beach. 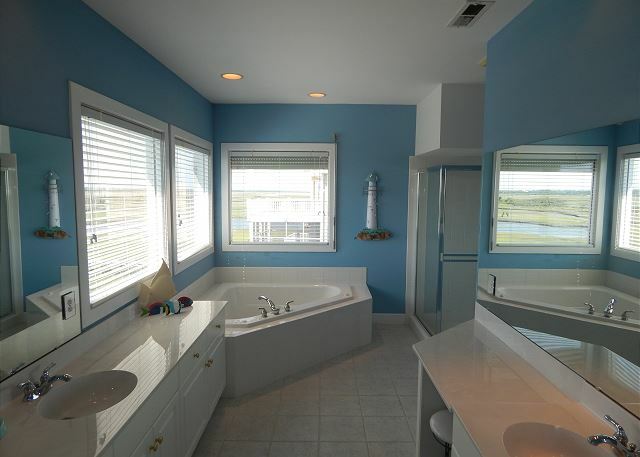 The house is spacious and the marsh view magnificent. The children loved the dock for easy fishing and crabbing. The beach access is close by so you have the best of both worlds. We will definitely return again and again. Many thanks for a great stay. For a house this size, we would recommend a much better and cleaner grill, more (and more comfortable) chairs for the deck. Also, with a seven day stay, more trash bags and paper products should be provided. We had a great stay and the location and the interior layout with a bathroom for each bedroom was perfect for our family. 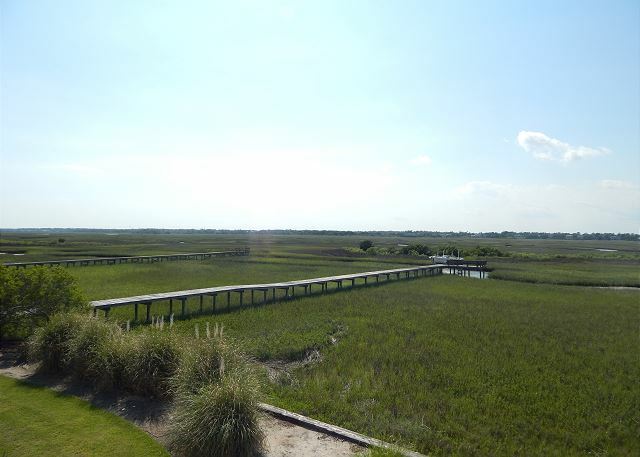 Beautiful marsh views and steps to the beach. Loved it! Thank you for your review. We are purchasing a new grill for this season. Would recommend a functional, simple broom and dust pan. Our air conditioning worked on and off. When it was not working, it was very hot in the house. The management company was very prompt in getting repairmen to the home. The house was beautiful and the location was delightful. The sound sunsets were incredible. We were sorry that the HVAC went down during your stay, but glad that we were able to get it repaired quickly. We have purchased a new broom and dust pan for the property, along with some other "essential" items. The Sweet Shirl was exactly as advertised! We truly enjoyed our stay and found the home very comfortable and well-equipped. Many surprises enhanced our beach visits, including a wagon, boogie boards, umbrella, etc. We even weathered Hurricane Arthur and lost power only momentarily, finding the home very sturdy. The covered porches enabled us to weather the approaching storm outside, enjoying the views of the marsh. Wrightsville Beach is a gem, with beautiful white sand and warm, shallow water - a great place for swimming and walking. Vacationing with young children and limited to car space, we did not take advantage of seeing local sites; we mainly beached it daily. I would definitely recommend the area and would love to make a return visit. Great, roomy house in a good WB location. We might suggest updating / adding a BBQ grill -- the one there in the garage is very small and old. 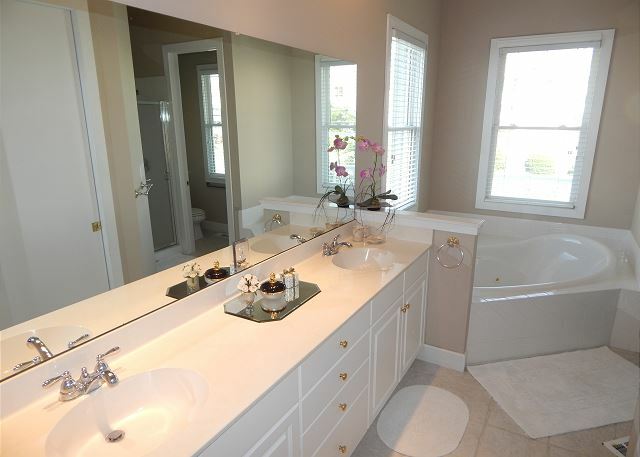 Minor paint / plumbing fixture repairs could also be done. Also, every property rental at this level should have free, well-working wi-fi -- we had to connect the upstairs TV cable line into an internet router, which meant the upstairs master had no television. Not a big deal, but these days internet should just be given. Someone was going to come by with a splitter to fix the issue, but never did. We would also suggest rocking chairs on the back porch. Thank you for your review. We have installed a new tv in the master bedroom and gave the cable/internet its' own line. The owner has also purchased a new grill for the 2015 season. Please feel free to contact us if you have any questions.